My Krazee is modeling him in the pic. The picture doesn't really show off the colors very well, I'm still trying to figure out this camera. He also threw a bonus in the box The glass is awesome! Congrats on the awsome scores! the mask turned out great. looks like some holiday money is going towards one for the collection. tom can we get these in plastic or just latex? either way im picking one up. 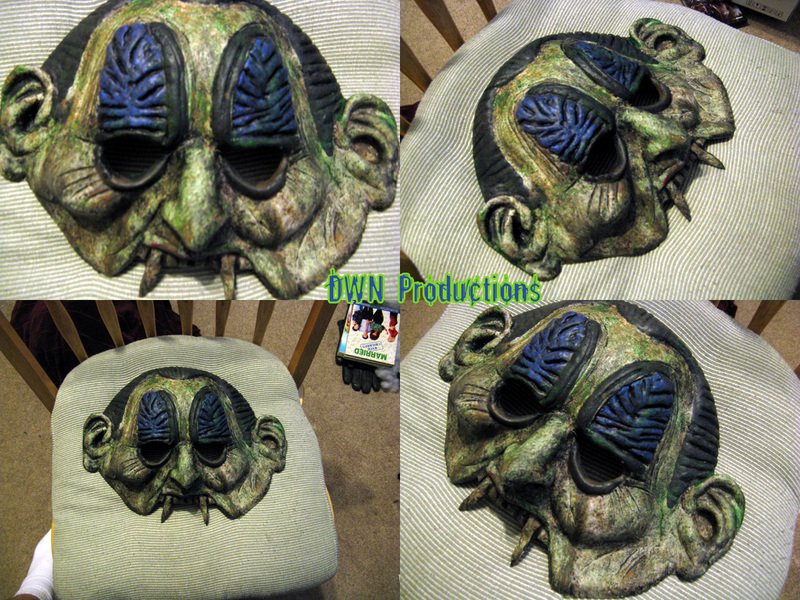 Just ordered me a Homebound mask from DWN and these pics make me very excited to get mine. This looks great. Didnt you do a clean veron as well? How much are they again? I should have mine early this coming week. I bought a clean veron so I'll be sure to put up some pics. I haven't picked up a clean one yet, but it's high on my wishlist. I'm looking forward to seeing Dren's pics.